I chose to tint my Original Anti-Aging Lip Balm to give you a healthy flush on your lips that you can feel good about using. Alkanet root, the herb that imparts the ruby hue, is toning and soothing for the lips. This does contain beeswax. This lip balm is exactly what I always wanted. I set out to create a lip balm that was like skincare for your lips, but ACTUALLY beneficial, not just your typical balm. I also wanted something creamy and not waxy or thick. 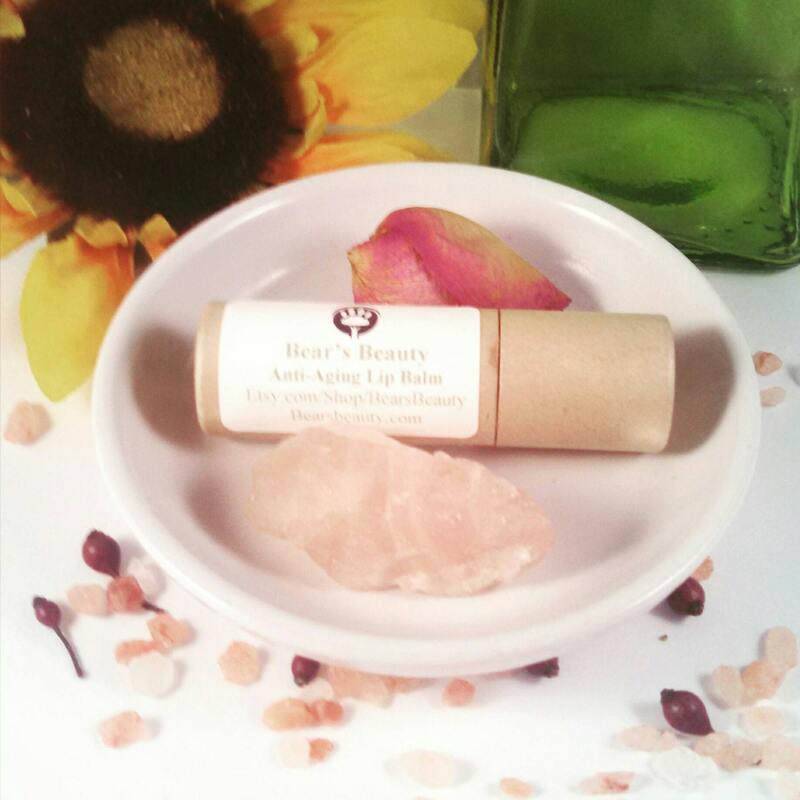 This lip balm is not just a lip moisturizer for when lips are chapped, but is packed with anti-aging and antioxidant soothing botanical butters and oils. I use mine every night before bed. The only problem? I use so little of it now that I am not caught in the petroleum-lip-balm-loop that I lose them before I use them up! This will last you forever! I also use this in a pinch as a mini lotion stick. The Original Anti-Aging Lip balm is one of my few Non-Vegan items. I chose to use beeswax is this formula for its unique protective and soothing abilities. The texture of this balm is inherently creamy, thanks to the lovely Organic Beeswax. I chose a source that loves bees and harvests in a way that doesn't harm them. In a way, I feel that by supporting Organic Bee Farming, I am helping promote healthy bees! A Serum for your lips in the form of a creamy lip balm! Actually soothes your lips, so your lips will look and feel healthier. Organic Cupuacu Butter - Cupuacu Butter has the unique ability to actually hydrate lips and moisturize them. This unique butter, part of the Cocoa family, actually absorbs water and draws it into your tissue. This balm almost makes my lips feel slightly plumper after use. Organic Marula Oil instantly softens + protects from environmental factors. Organic Beeswax - Protective + Nourishing + Antioxidant and leaves your lips smooth and protected for hours. Organic Apricot Kernel Oil - Nourishing + Thicker Oil that provides softness to lips. 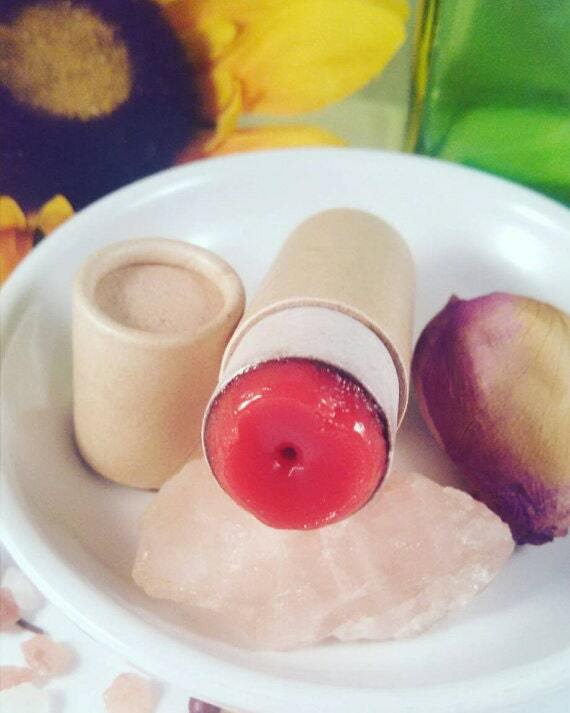 Organic Shea Butter - Rich in Vitamin A + Fatty Acids + Protects delicate skin. Organic Hemp Seed Oil - Ideal ratio of Omega Fatty Acids 3 + 6 + 9 + Penetrates to nourish and heal. Lip Balm tends to be one of the products we don't take great care of. We leave it in our pocket or car all day, let it melt and then cool again, and I have washed my fair share of lip balm tubes. While most of my balms and butters have a shelf life closer to 6 months, lip balms just never fair as well. Honesty is my policy.